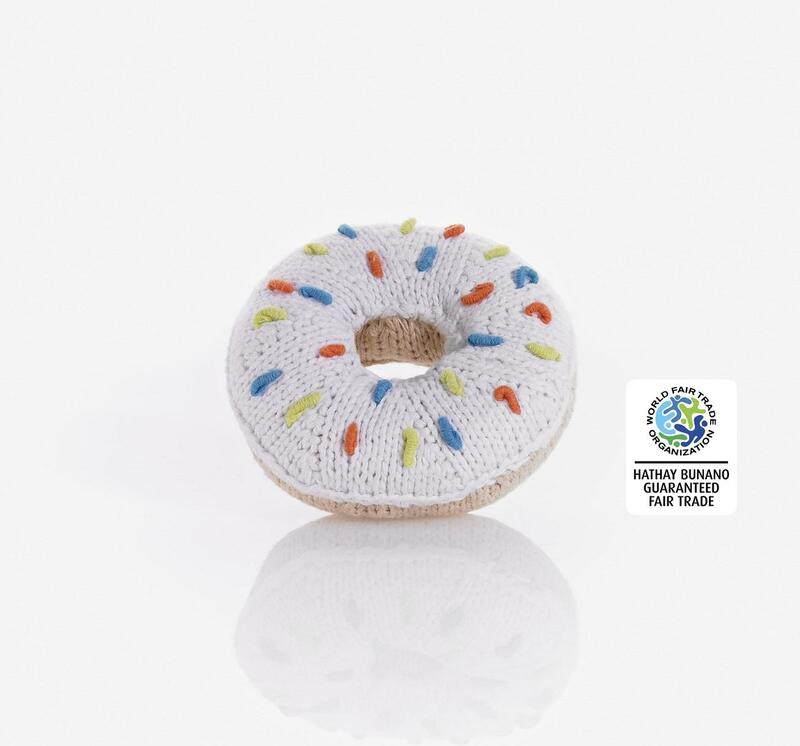 Our gorgeous knitted donut rattle is a great size for babies to grab and chew. An ideal toy for tummy time. Handmade, fair trade and suitable from birth. Machine washable. Pebble toys are the only knitted and crochet toys guaranteed by the World Fairtrade Organisation to be fair trade. When you buy a Pebble toy you can know that your purchase is helping to give people a chance of a better life. Thank you for your support.